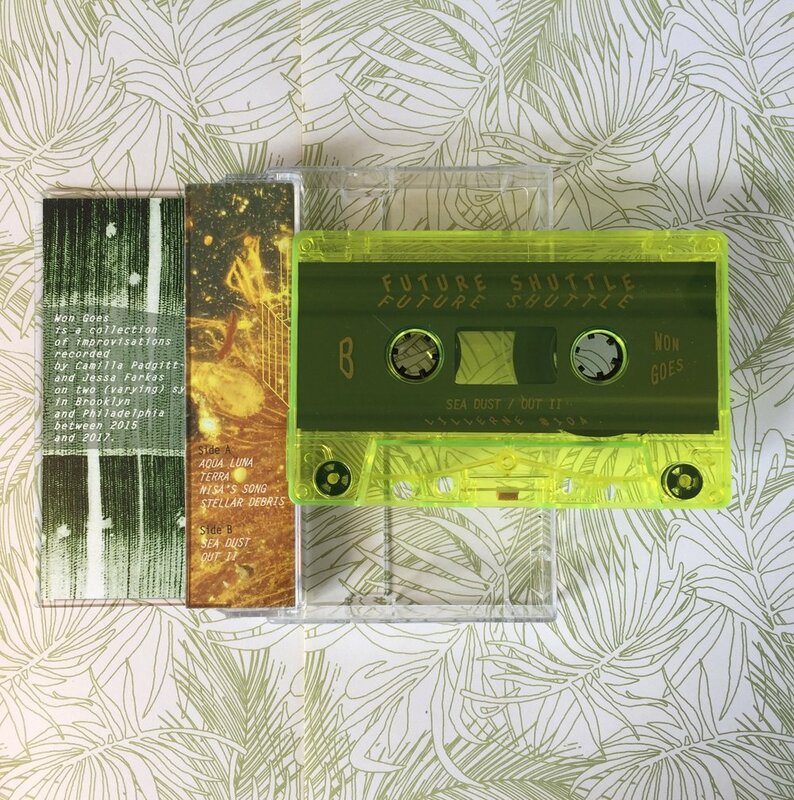 Future Shuttle's 'Won Goes' Out On Lillerne Tapes! Lillerne is extremely proud to help bring to the world this multi-year, multi-state collaborative project between Camilla Padgitt-Coles and Jessa Farkas. Between 2015 and 2017, Padgitt-Coles and Farkas worked on these compositions between their homes in New York City and Philadelphia, and the product of this extensive collaboration is Won Goes. Wonderfully hypnotic layers of synth melody and soaring flourishes meet and pass each other in a fully immersive world. Patience, thoughtful movement and space for the listener to exist and reflect abound. Otherworldly tunes, beautifully orchestrated—two distinct voices coming together to form a dynamically cohesive (and absurdly peaceful) zone. If I-95 existed in the cosmos. Edition of 50 pro-dubbed cassettes with full-color, double-sided artwork by Jessa Farkas.